In the first two posts in this series, we looked at the TOP FIVE FIBA Asia Centers and Power Forwards. These are the big men who are expected to man the paint of their respective teams, grab a lion’s share of the rebounds, and serve as the last lines of defense against cutters and slashers. In this post, we will look at perhaps the most crowded position in FIBA Asia, at least in terms of sheer talent. This was, quite honestly, one of the toughest positions about which to write, since, again, there are so many big names and great players who play small forward. This is mainly because, prototypically, a small forward is one of the heavy-hitters or scorers of a basketball team. Some of the most decorated players in basketball lore played the 3 position, like Scottie Pippen, Larry Bird, and, in the more contemporary context, LeBron James and Carmelo Anthony. The reason for this, I surmise, is that SFs, or swingmen as they are wont to be labeled, usually have a good combination of size, quickness, and shooting – all of which are extremely important in basketball. 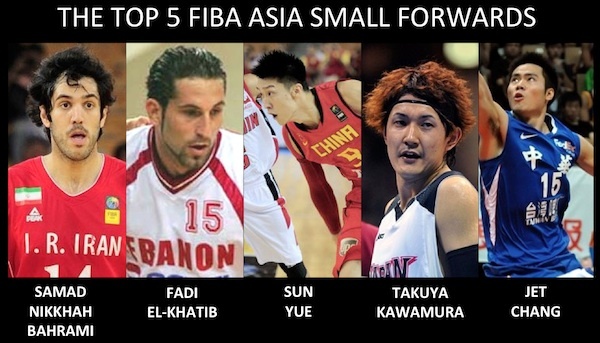 In Part 3 of our series, we will look at the TOP FIVE FIBA Asia Small Forwards. 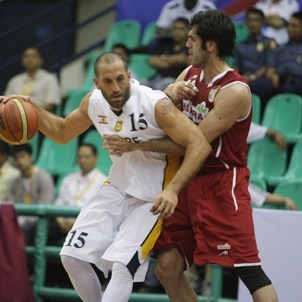 to renew their rivalry in the 2013 FIBA Asia tourney. Zaid Abbas (Jordan) – He expressed his retirement from international basketball because his club team (Guangdong) and the Jordan Basketball Association just couldn’t agree on terms that would allow him to play again for the Jordan NT. Tanguy Ngombo (Qatar) – Ngombo is certainly an intriguing FIBA Asia talent, but his eligibility issues cast doubt on whether he’ll even play in August. Take note that he was already deemed ineligible in Wuhan two years ago, and he didn’t even play for Qatar in last year’s FIBA Asia Cup. I’m not counting on him showing up in Manila. Yaseen Musa (Qatar) – Musa is really a stretch forward (combo SF & PF), and he’s surely one of the best the region has ever seen, but he’s getting really old really fast. I believe the Qataris will probably choose to focus on younger talent when the Manila tourney commences. These are the best small forwards you'll find outside of the Philippines. Strengths: Bahrami came into prominence in the 2007 FIBA Asia Championships in Tokushima, Japan, and he hasn’t stopped captivating Asian hoop nuts ever since leading the Iranians to the title in that tournament. He is known as one of the most versatile forwards in Asia – having enough size to play the 4, but also having the skills to be a dominant wing player (he was named MVP of the 2012 FIBA Asia Cup). He’s the other half of Iran’s one-two offensive punch – the other one being Hamed Haddadi. Bahrami’s main strengths are his athleticism, slashing and transition play. He’s truly a gifted scorer who may be just barely behind the next guy on this list. Weaknesses: Offensively, Bahrami is one of the most well-balanced players in Asia, though if there’s one chink in his armor, it’s his inconsistent three-point shooting. In the 2011 FIBA Asia tourney, he shot just 32% from beyond the arc. In the 2012 FIBA Asia Cup, he connected on just 3 of his 23 attempts. In the current Iranian Super League, he’s hitting just 25% of his treys. He’s bound to make some three-bombs, of course, but it’s little better to have him chuck it than drive it. Strengths: Fadi is timeless. He’s a living legend in Lebanon – think what Robert Jaowrski was to the Pinoy hoops scene in the 80s and 90s. Of course, the Big J never really averaged more than 25 points in the pros, and he sure as hell didn’t pour in a nearly 30-10 stat-line in any FIBA Asia event. And, get this, Fadi is thiry-friggin’-four years old!!! Two years ago, he contemplated retiring from international ball, but Lebanese hoop nuts begged for him to return after the Cedars’ debacle in Wuhan. Why is he so good? Because, as you can see, he does pretty much everything for Lebanon. EVERYTHING. Weaknesses: Perhaps there are really only two gripes about Fadi’s game – his inconsistent three-point shot and his propensity to turn the ball over. For Champville in the current FLB, Fadi makes a little more than 36% of his threes. That’s definitely not bad, but, just like Samad, that’s something opponents can settle for. Taking care of the rock has not been Fadi’s best suit, too. He norms about three TOs per game in FLB, and he coughed it up about 4.5 times per game in the 2012 FIBA Asia Cup. Strengths: Had Sun played for a Chinese team devoid of other superstars like Yao Ming, Wang Zhizhi, and Yi Jianlian, perhaps he would register numbers similar to Samad’s and Fadi’s, but, alas, Sun has never really been able to blossom into that superbly dominant figure for Team Big Red. Nevertheless, Sun is an impressive player who can pretty much do anything a coach wants him to. His size, quickness, and soft touch make him such a continental match-up nightmare at the 3 spot, where most Asians are about 6’4-6’6. He can spot up, run the floor, and jump pretty high – just a complete package. Weaknesses: Sun’s biggest weakness has always been just finding his role in the Chinese NT. Again, because of so many other stars on the team, it seems Sun is content to simply recede into the background. Now that the team no longer enjoys the services of guys like Yao, Wang, and Liu Wei, though, Sun has the perfect chance to step up. He has never really reached his potential (read: Japeth Aguilar), but, who knows, perhaps he just might explode in Manila come August? Strengths: Kawamura is the big time scorer of Japan. 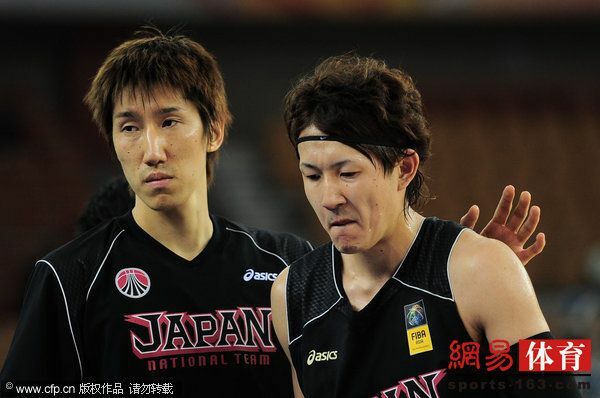 He played that role to the hilt in Wuhan two years ago, and he should resume that role once again for Japan in August. As his stats suggest, he’s a purely offensive machine. He was born to break down defenses with his penetration and shooting, and, on occasion, dump the drop pass to his waiting bigs. Much of Japan’s success in Manila will depend on how well Kawamura can adjust to the defenses being thrown at him. Weaknesses: Despite what his steals average might suggest, Kawamura isn’t exactly the best perimeter defender. He’s pretty good in picking the passing lanes, but he chooses to conserve his energy for offense by sacrificing on-ball D. As is expected of guys who dominate possessions, Kawamura is also quite prone to turnovers – he currently norms nearly 3 TOs per game in the JBL. puzzle for a resurgent Japanese five. 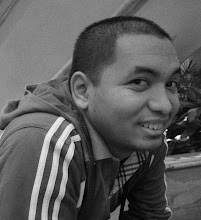 Strengths: Jet Chang is an alumnus of Brigham Young University-Hawaii, and is one of the young guns in Taiwan’s SBL. He’s a natural scorer who seems to have inherited the mantle of “Taiwan’s Top Gun” from the aging Chen Hsin-An. Chang’s three-point shooting percentage isn’t anything to write home about (36% in the 2011 FIBA Asia tourney), but he’s extremely streaky, so once he gets going, watch out. He’s also an exceptional slasher, mainly because he has great handles, and he can break down his man with relative ease. For someone who has the ball often, he also doesn’t turn it over a lot (just over 1 turnover per game in the 2011 FIBA Asia and 2012 Jones Cup). Weaknesses: He’s a little predictable, though, since he rarely looks to make plays for his teammates. Once he gets in transition or slashes through the lane, he’ll take it all the way perhaps 90% of the time (less than one assist per game in the 2011 FIBA Asia and the 2012 Jones Cup). This is the main thing that prevents him from being in the same tier as the other names on this list – that, and the fact that he shoots at just about 60% from the line. The SF spot has always been a bit of a headache for Pinoys, simply because guys who are 6’6”-6’8” aren’t supposed to move and handle the ball as well as the ones on this list. Guys that big are supposed to man the low post with their backs to the basket and have no business slashing the lane or shooting from outside. This is also why it’ll be a little tough to find a good combination of size, speed, handles, and shooting from among the 6’4” and above players in the PBA, but, hey, I managed to think of a few notable suggestions. In PART FOUR, we shall take a look at the TOP FIVE FIBA Asia Shooting Guards. Gabe Norwood should be on top of the list! He is already a proven winner in international scene, also he is an all-around glue guy for the team. Why not look outside the PBA, Bobby Ray Parks Jr. should be consider as one of the top SF in the country, maybe he should be invited to join Gilas Pilipinas Pool. He has the height, quickness, athleticism, prolific scorer and an underrated defender. Quite an all-around guy. I think he is even better than Chang of CT(selfish, just an offensive guy) and Kawamura of Japan(pretty soft and back down from physicality), its just that they have the experience playing in FIBA Asia. can't wait for the last 2 parts of this analysis! Hi enzo! Im the first guy to comment about gabe, well i see gabe all around game and passive instincts makes him not being recognized in the court, but the intangibles he brings is really underrated, the length and athleticism he brings on the defensive end is helpful to the team. gabe is such an important piece. even if he doesn't impact a game through scoring, he has can contribute in so many other ways!